Selected for its dwarf form, Iroquois Beauty™ stays much smaller than the species, showy white flowers appear in spring with purple-black fruit to follow, vibrant orange-red fall foliage. The melanocarpa species of Chokecherry are a little easier to use in the landscape when compared to other types because of its dwarf size and pleasing form. 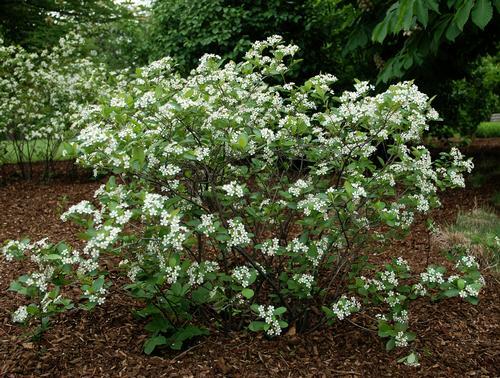 These shrubs will tolerate a wide range of soils, including wet soil. For best fruit production, plant in full sun.